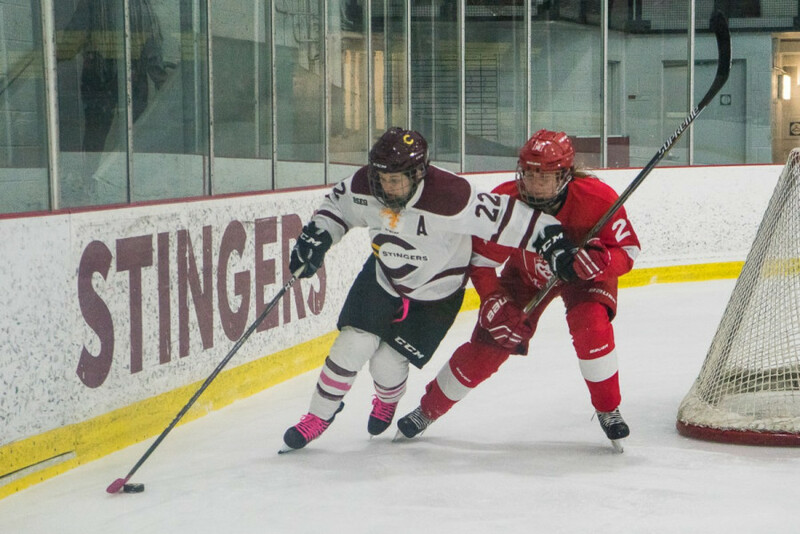 With just three games left in the regular season, it was critical for the Stingers women’s hockey team to enter the postseason with a full head of steam. 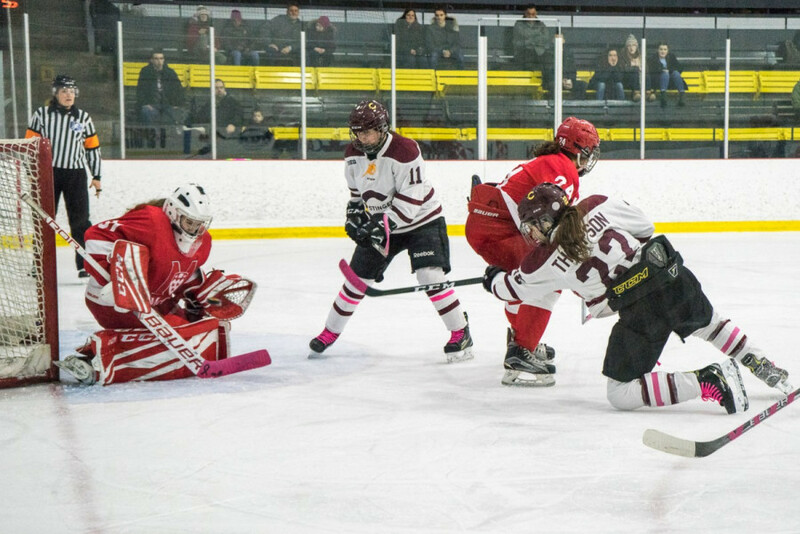 After consecutive wins over McGill and Carleton, the Stingers once again faced their cross-town rival, the Martlets, Saturday afternoon. Entering the final frame, the two teams were tied at three goals apiece and seemed destined for overtime. On par with their other meetings, the game was tight. The two teams exchanged goals for most of the contest. Following a four-goal performance against the Carleton Ravens on Feb 4, Stingers forward Audrey Belzile scored one of those goals and extended her point streak to five games. Related: Audrey Belzile Scored Four Goals in a Stingers win. Forward Marie-Pascale Bernier scored another one of those goals and added an assist, registering her first points in three games in the process. Through the ebbs and flows of the game, Concordia looked very comfortable being in such a tight battle. With a bit over five minutes to play, Lalancette received a pass from Belzile and scored to give the Stingers a late lead. Forward Devon Thompson added an empty-netter, and Concordia was able to hang on. More importantly for Concordia head coach Julie Chu, it gave them a win in a crunchtime situation. “But, there’s still [Université de Montréal Carabins] to focus on, and that’s our next focus,” she continued. The Stingers and Carabins are in the thick of a tight race for first place in the Réseau du sport étudiant du Québec—so close that the two teams are separated by a single point in the standings. The Carabins are set to face McGill Sunday afternoon, and if they were to lose, Concordia would be in prime position to make the jump into first place should they beat UdeM when they face off on Feb. 16. Their meeting with the Carabins is Friday, 7:00 p.m. at the CEPSUM. They’ll round out their season with a home game against the University of Ottawa Gee-Gees two days later.